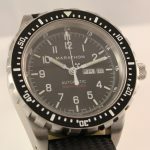 Marathon watch Company is one of the most renowned and distinct name in making timekeeping machines exquisitely with the military grade standards. Made with the highest quality standards and Swiss craftsmanship, Marathon watches guarantee the precision and accuracy in timekeeping. The journey for the watchmaker started in1939 as Marathon Watch was founded by Morris Wein in Montreal. 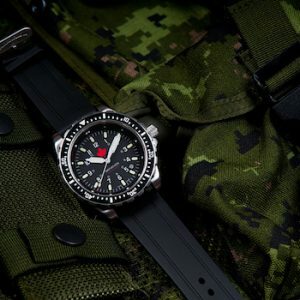 The company initially was associated to provide supplies in North America with accurate timepieces. 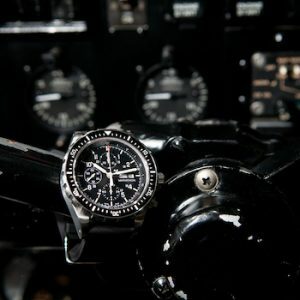 Later in 1941, the company took its passion further for manufacturing watches for the Allied forces. As on date, the company continues with the tradition of manufacturing various instruments that can measure the time, distance and temperature. 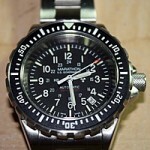 The Marathon Watch company offers its watches in three different collections of Land, Air and Sea. 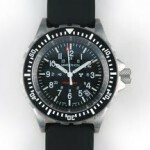 Apart from this the company also offers a collection of Dive watches, Pilot watches and Navigator watches. Each of its collection reflects a distinctive design pattern and features large dials along with glowing features for easy visibility. Its watch collection also feature time movement actions in both analog and digital design patterns. 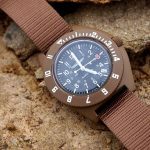 The watches are so designed that the can be used in rigorous and tough sporting activities like trekking, diving, as well as can be used as a daily wear. The Marathon watches come with Hersatile crsytal faces and fibreshell cases that can protect your watch in case of accidental falls or if hit against hard materials. Most of the Marathon feature a stainless steel bracelet or vulcanised natural rubber strap. the straps designs are extremely comfortable and at the same time rugged. The straps continue to deliver the same finish and shine even after months of use. The great thing about Marathon watches is that they are available at very affordable and competitive pricing assuring higher durability at least maintenance.